What is honey laundering? And how can you avoid fake honey? Honey is the third most adulterated product in the world. Some has sugar syrup or water added as a filler. Some contains honey that has been harvested too early and then artificially dried. Some honey is claimed to be from a certain source (country or area) and is actually from another. While regular, quality honey goes through a gentle filtration process to get rid of debris and bee parts, many companies add in a step called ultrafiltration which was developed in China. This increases the shelf life, destroys the natural benefits contained in the honey, and makes the country of origin untraceable. They call it ‘honey laundering and in a world that’s spoilt for choice, with a hunger for wanting everything right here, right now, there’s a global trade where produce is being engineered to meet demand. This poses an ever increasing challenge to track our food products back to source. Because of high demand for honey versus declining supplies (due to colony collapse) plus so many different varieties, it has become an easy and lucrative target for adulteration. Vaughn Bryant is pollen detective (or melissopalynologist) who found that 75% of honey on US supermarket shelves contained absolutely no pollen at all due to ultra-filtration technique it had gone through. Why is this an issue? Well, without pollen which is like honey’s DNA, there's no real proof of the country of origin and, as Bryant argues, there is no real proof that the product is legally honey. Instead of being raw honey straight from the hive, as nature intended, a jar labelled ‘honey’ can be all manner of things, including dyed, fructose corn syrup. The Netflix documentary, Rotten digs deep into the hidden practices in our food chain. In the episode, Lawyers, Guns and Honey the spotlight is placed on the largest food fraud in history (honey gate) which leads to United States customs breaking a smuggling ring after leading honey producers brought inferior honey from China via Australia. Unfortunately, this isn’t just a problem in the US. Foreign sugars were found 1.4 times in every 10 honey samples tested by the European Joint Research Centre, according to research published in December 2016. It’s important as consumers to be discerning, get to know the good from the bad by understanding raw honey, where it comes from and how it’s processed. You don’t have to be a beekeeper to learn a few things about the way raw honey smells, tastes and is made to ensure you buy the genuine article. How can you be sure the honey you buy is genuine? Ask your seller if they know the name of the beekeeper. 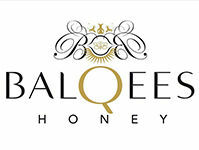 At Balqees we welcome questions from our customers and encourage you to taste our honeys at the many kiosks across the United Arab Emirates. This is why we deal direct with our beekeepers round the world and visit them in person. We can tell you who collected the honey, from which flowers, when and how it was harvested, how the bees are treated and how the hives are tended. Our bees are never fed sugar solution or anti-biotics. Ask these questions if buying from any other brand or seller to find the true source of the honey. Unfortunately, labels can be misleading so pay close attention. Read each jar’s label carefully and look for ambiguous or misleading language. Words such as “Imported” or “Honey Product” with no mention of the country of origin are red flags as to the authenticity of the product. The words natural or pure on a label is meaningless and no indication of the quality of the product inside. It’s easy to put “raw” on labels, even when the product has been processed in some way. There seems to be the misconception that raw honey is somehow thicker and lighter in colour. Raw honey is a light golden to amber or even brown in colour, just after harvesting it is runny and should be kept at room temperature or warmer maintaining the temperature in the hive and off the comb. All honey should crystallize over time. Don’t confuse raw, crystallized honey with mislabelled creamed honey (which looks and has a similar consistency to raw honey that has crystallized). Producing real raw honey is incredibly labour intensive. You pay for the care and attention to the bees, the patience to let them produce their beautiful nectar naturally and the impact of the different seasons. Be suspicious of cheap honey (however expensive price labels are also no guarantee). Become a connoisseur. Does the honey smell right? Does it taste unusually sweet? Trust your instincts and the more you try the more you come to know how raw honey should be. However, it is hard to identify adulterated honey on taste buds alone, even for the skilled honey taster. Mix your honey with vinegar, if the liquid turns foamy then it is not raw honey. Mix a tablespoon of honey with water if your honey dissolves then it isn’t pure, raw honey stays intact when added to water. Hold your honey up and let it fall from the spoon. If it falls quickly then this is not raw honey. Good quality raw honey hangs or stays on the spoon or falls slowly. Eating raw honey is amazing and full of vitamins and minerals. What a gift the bees have given us. Don’t deprive yourself of this fine product or line the pockets of those responsible for honey laundering. Remember that supporting local, regional or authentic apiaries helps you and those consuming the honey. It also supports mindful beekeeping practices, which helps the bees themselves, and supports the beekeepers working for a sustainable product. Going through the extra legwork to find real raw honey is well worth the effort.